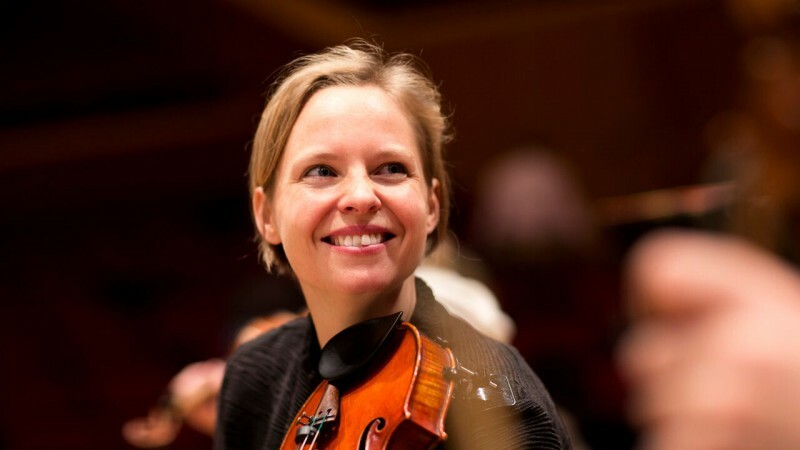 Karin Löffler took her first violin lessons from her grandmother and then worked with Emilie Haudenschild. After that she studied with Rafaël Oleg in Basel and Ana Chumachenko in Zurich. She received further artistic impulses at master classes with Lorand Fenyves, Serge Collot and Hagai Shaham. She won several prizes at the “Swiss Young Musicians’ Competition” and the “International Lyceum Competition”. She was a member of the Symphony Orchestra of Basel for two years before working with the Berlin Philharmonic as a scholarship student at the Orchestra Academy from 2004 to 2006. Karin Löffler has made a number of solo appearances, among others with the Symphony Orchestra of Basel and the State Philharmonic of the Rhineland-Palatinate. Her chamber music partners so far include pianists Yefim Bronfman, Gérard Wyss, Katia and Marielle Labèque as well as – at the Kuhmo Chamber Music Festival in Finland – Vladimir Mendelssohn. Since September of 2006 Karin Löffler has been a member of the Symphonieorchester des Bayerischen Rundfunks.